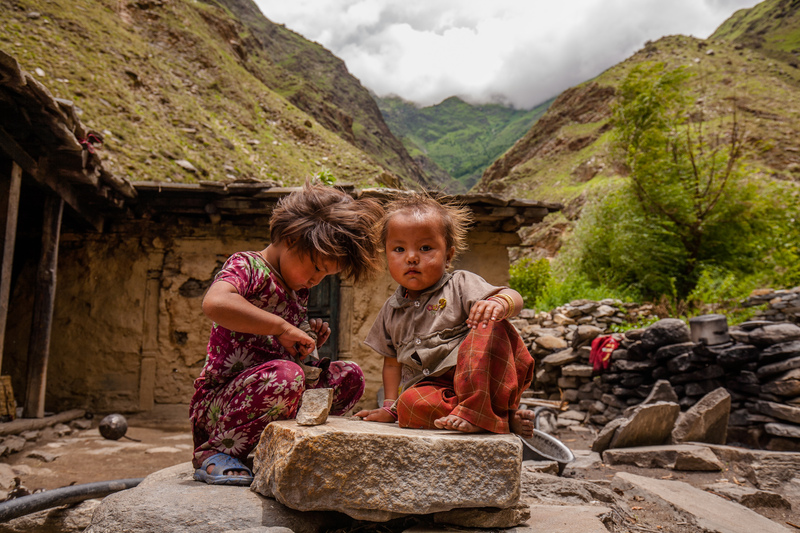 The Upper Dolpo Trek is way more than “off the beaten track”. This is a whole other world. 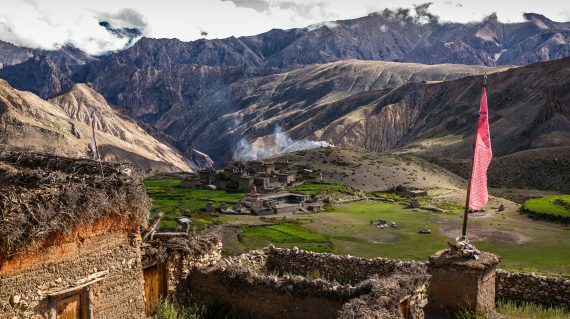 Dolpo is a remote and spectacular corner of the Himalaya, isolated from the rest of Nepal by high passes in the south. This trek itself is one major highlight. All about the Upper Dolpo Trek. 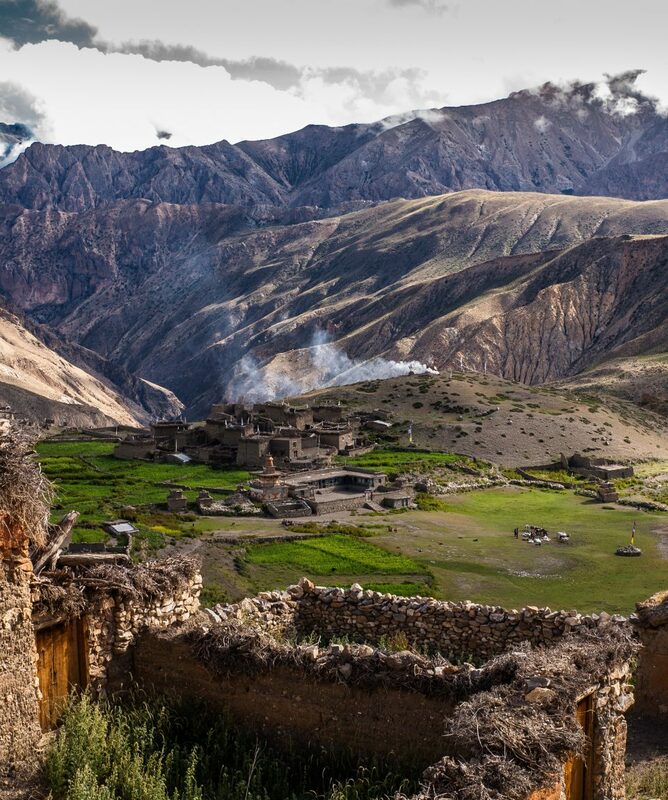 Dolpo is a remote and spectacular corner of the Himalaya, isolated from the rest of Nepal by high passes in the south. 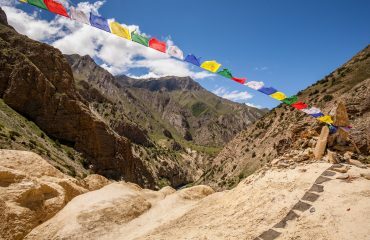 This trek itself is actually one major highlight, but to name two places along this route in particular we say: Dho and Phoksumdo Lake. 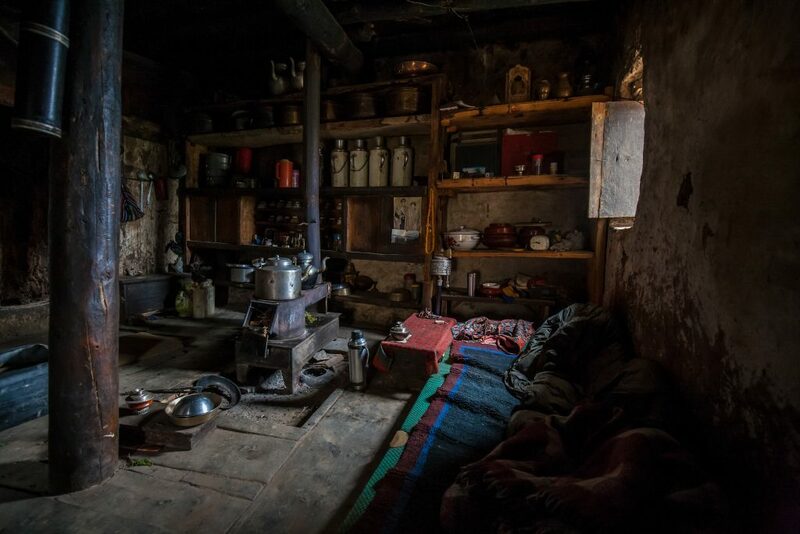 Dho is a village in the beautiful valley of Dho Tarap, a remote valley of pure Tibetan influence It consists of several clusters of closely packed stone houses. Scattered across the valley you find numerous Buddhist monasteries and chortens. 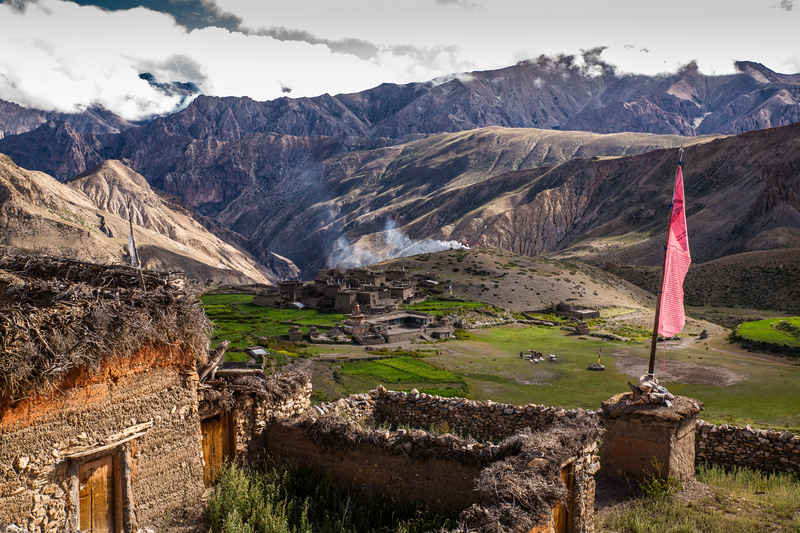 For instance above the village you find the Ribo Bhumpa Gompa. The lake of Phoksumdo is north to Ringmo, a village that’s located on a 30,000 to 40,000 year-old landslide dam. This dam formed the lake on one side and a 167 meter tall waterfall on the other side. The lake is surrounded by glaciers and known by its magnificent turquoise color. 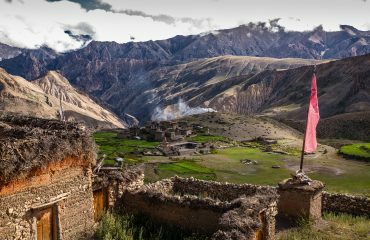 Curious about the people and culture of Dolpa but two high passes might be too much? 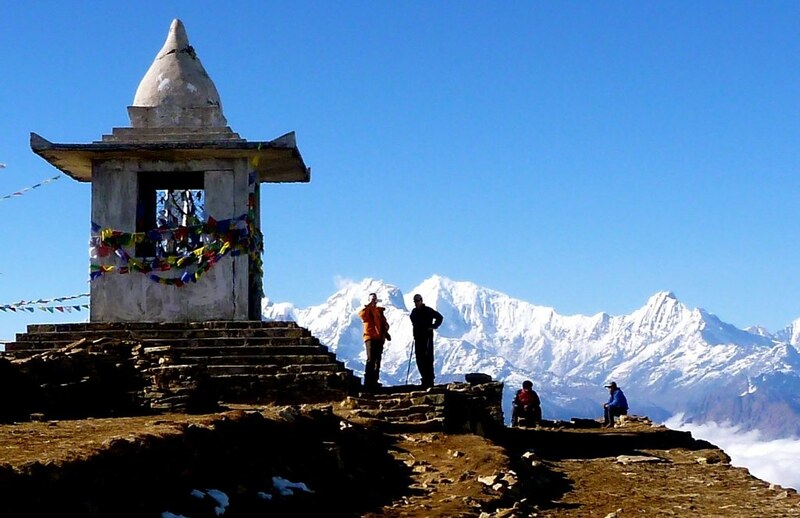 Take a look at our 13-days Phoksumdo Trek [homestay]. 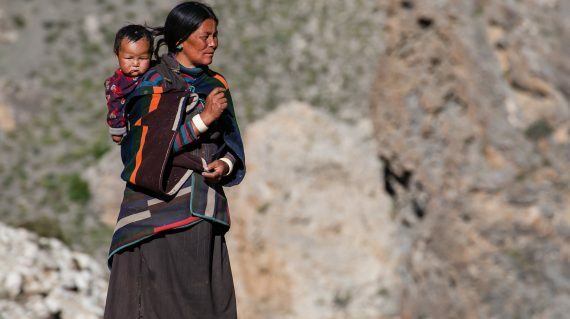 With this trek, you will be the guest of locals. And you will visit Phoksumdo Lake, Dolpa’s pearl. Today, we take the bus to Nepalganj. This is a city southwest from Kathmandu, near the border with India. In Nepalganj we will visit bazaars and surrounding villages that are populated by different ethnic people. We can also visit the holy temple of Bageshori. If you like to speed up your travel, then we can catch the 55-minute flight to Nepalganj. Please let us know if you’d prefer that and we’ll provide you with the details. 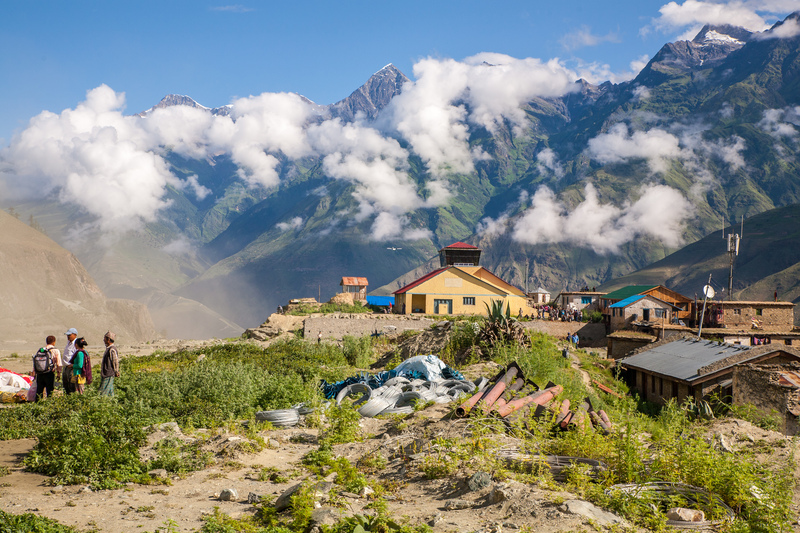 Early morning, we go to the airport and catch our flight to the village of Juphal (2320m). During the 30 minutes flight, we see a rapid change of the landscape below us. 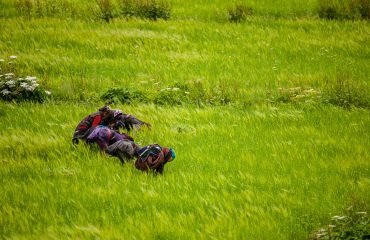 It changes from the flat Terai to hills covered by paddy rice fields to the first high mountains of Dolpa. 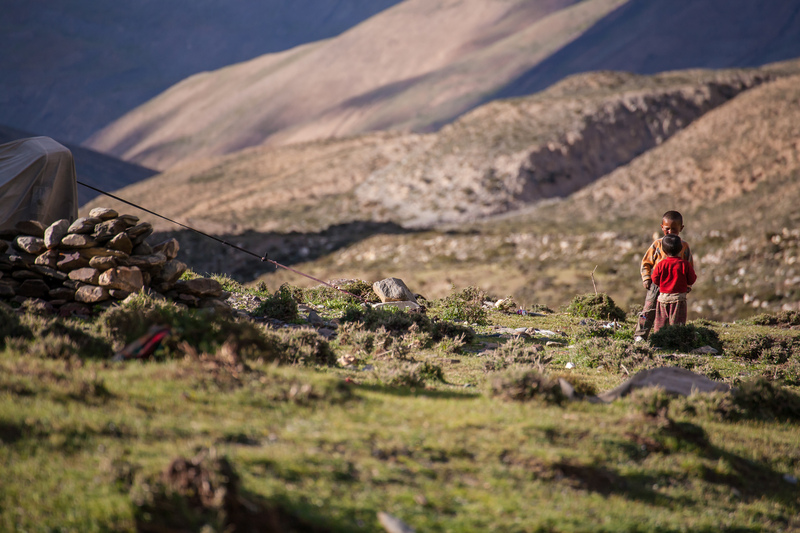 From Juphal we walk to our campsite in Dunai (2850m) where we’ll spend the night. Today we trek to Lingdo (2391m). 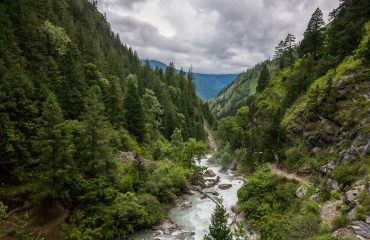 From Dunai the trail goes a little bit upward and downward, along the Thuli Bheri river and we pass a Buddhist village. A part of the trail is made out of rocks and is narrow at times. Our trek up to Laina Odar (3370m) follows a trail that moves upward slowly. Again on this day the trail ascends upward over the Thuli Bheri river towards the suspension bridge. Today our trek has strenuous ascends. As a start, the trail moves in the small pass taking for about 45 minutes. From the pass it appears as an easy walk enticing some ascends. A major part of this day we trek through a lovely smelling pine forest. 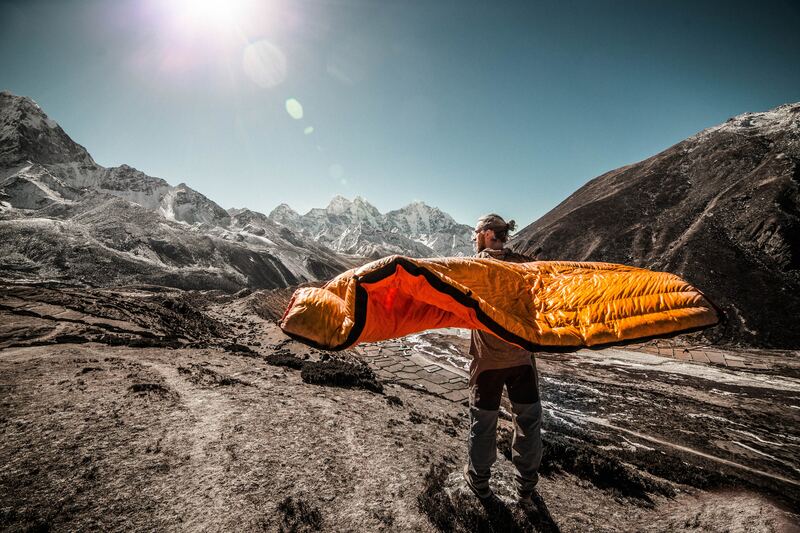 In about 4 hours we will arrive in Nawarpani (3575m) we spend the night. From Nawarpani we trek to Sisaul today. Also today the trail is trouble free. 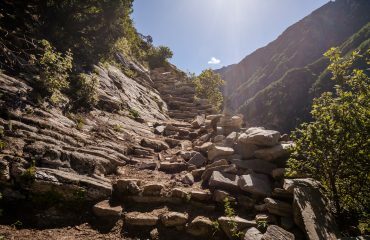 However, in some parts the trekking trail is attractively carved out of rocks. The day ends with an ascend for about half an hour till Chorten and then Sisaul (3750m). Today the trail takes us upward to a tiny pass where we step into the valley of Dho Tarap (4080m). 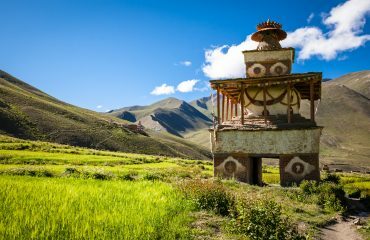 In Dho Tarap we pass several small chortens and mani walls and get a view over houses that are built in a Tibetan style. It’s mainly a day to rest and let our body get more comfortable with the altitude and climate. Nevertheless, we can explore the area a little bit with a short hike or explore the village of Dho Tarap. 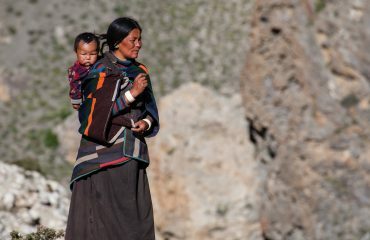 Today is an important day as we are trekking to Numa La Base Camp (4440m). At the end of the village we can visit the gompa which is merit to visit as well. This gompa also consists an attractive statue of Maitreya. 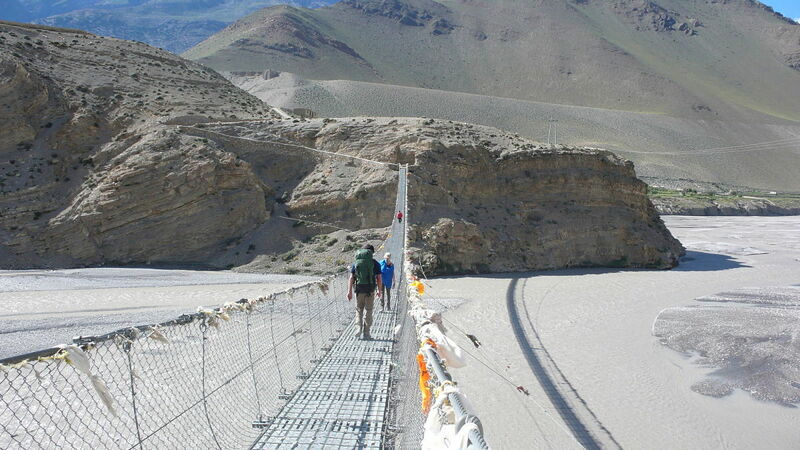 Today is an exciting day as we climb over 800 meters to cross Numa La pass (5318m). We start our day early morning for a strenuous climb for about 3 hours. 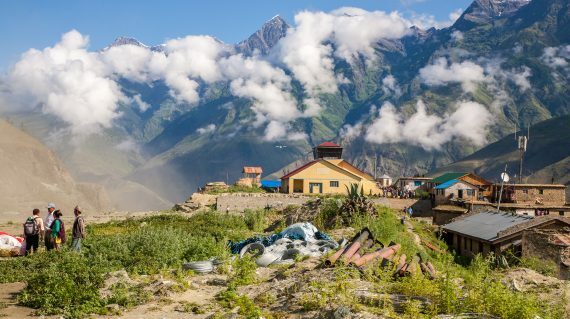 Once at the pass, if the weather is clear, we will be rewarded with views over an amazing range of snowcapped mountains such as Manaslu, Annapurna, the Shey Shikar and many more. On the other side of the pass we descend about 600 meters again to Danigar (4631m) where we spend the night. This is another beautiful trekking day which we begin early morning. Today we have an excellent outlook on the Norbung Kang and the Baga La range. the smooth and easy but regular walk takes us up to Yak Kharka (3982m), which is another perfect spot to set up our camp. Now we trek to Ringmo (3660m) and Phoksumdo Lake (3612m). 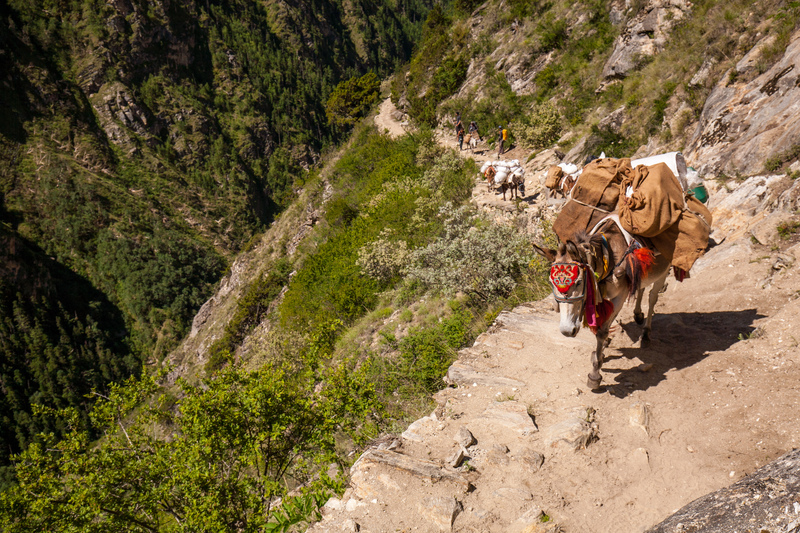 As we leave Yak Kharka we level up and downhill by fleeting many levels to the tiny pass. Those motivating passes show us the way to the woodland of pines and accompanied by the loving varied sounds of birds. As soon as we get ahead of the thick forests we arrive at Ringmo and Phoksumdo Lake. Today we explore and enjoy the beautiful area of Ringmo and of course the turquoise Phoksumdo Lake. It’s time to trek down again. We trek via Rechi (2940m) to Chhepka (2520m). Today we trek through the stunning pine forest, birches, bushes and spare broad tress. We also get to view the river very well today. Today the trek takes us back to Juphal (2475m) in about four hours. We follow a trail along a mountain ridge with the river next to us and pass the tiny settlement of Kalagauda (2070m). Depending on the season the area is a pasture of wheat, barley but also walnut and apricot. Early morning we have to be packed and ready for our flight back to Nepalganj. From there we catch a connecting flight to Kathmandu. During the flight you can sit back and enjoy the watching the elevated mountains, the paddy ricefields and Terai. Once we arrive at Tribhuvan International Airport in Kathmandu, we bring you to the hotel. Today, we catch a luxury bus with AC back to Kathmandu. If you like to speed up your travel, then we can catch a 55-minute flight to Kathmandu as well. Please let us know if you’d prefer that and we’ll provide you with the details. 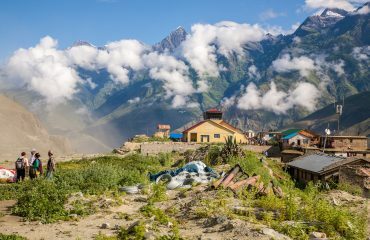 In Kathmandu and Nepalganj, before and after your Dolpa trek, you will be staying at a 3-star hotel with a private bathroom and wifi. The hotel in Kathmandu has a prime location, in the travellers neighbourhood Thamel. This are nearby many restaurants, trekking gear shops and supermarkets. The hotel in Nepalganj is very close to the domestic airport. This is needed as your flight to Dolpa will be early morning. 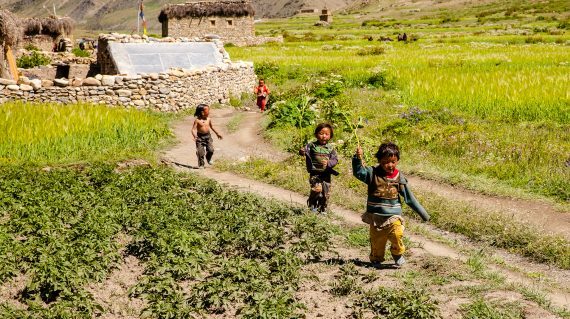 Facilities in the Dolpo District are very sparse. There are a few shops and teahouses, but nothing resembling a trekkers lodge. Therefore, we do well by bringing tents, cooking supplies and food. Along with your trekking guide, there will be porters and cooks who accompany you. 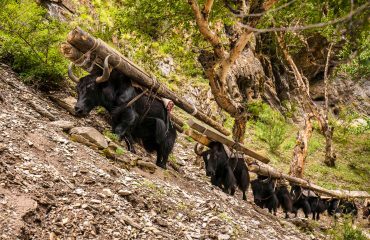 And depending on the length of your trek, there might be a small caravan of mules or yaks too. Every day, they will set up and break down the camp and cook meals for you and the team.